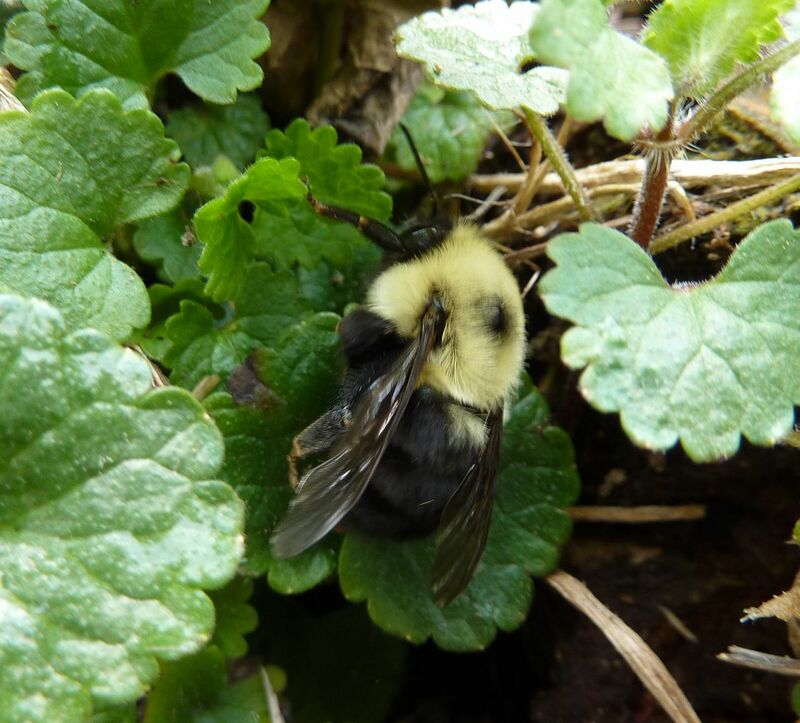 I found a Bombus impatiens queen buzzing around inside the green house. It's a very common species in the eastern US. and Canada. After helping her find her way out she started preforming nest finding behavior. She'd land along a log and explore holes among the plants and leaf litter leading under it. In nature they often take advantage of rodent burrows. Once she stars making a nest she'll more or less stay committed to that spot. 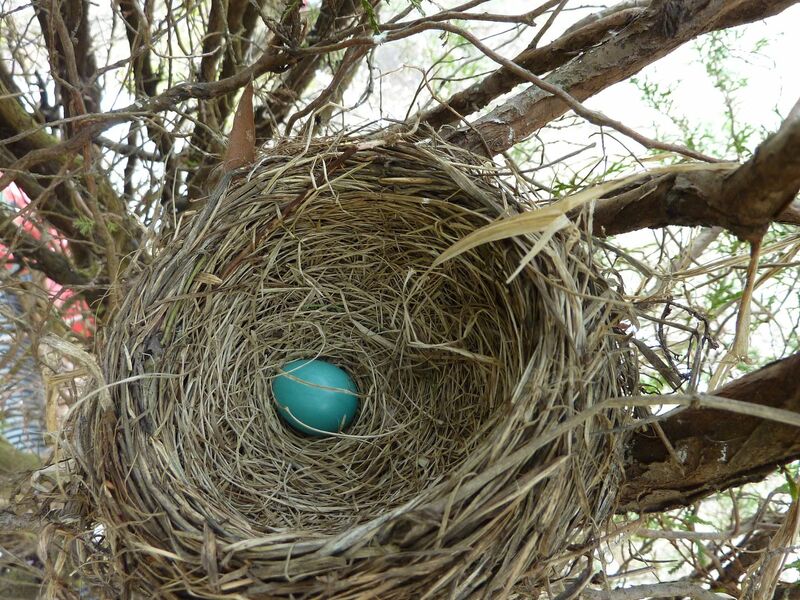 A robin has started already started her nest and laid an egg. I believe I interrupted her while trying to lay another, or maybe she'll only do one a day or something. I'll be sure to check back in a few weeks.